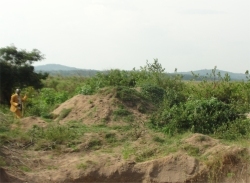 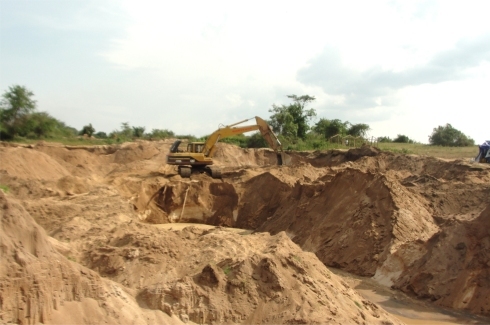 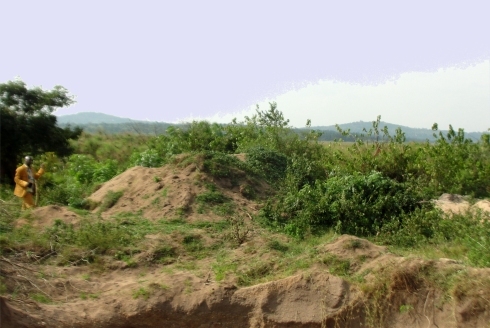 The Africa Bureau of Children's Development (ABCD) has established a Ugandan Land Sand Mining Business to fund the many ABCD initiatives in Uganda and throughout Africa. 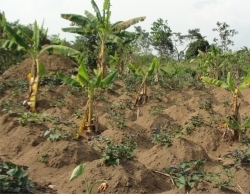 In the marsh lands of the 16 acres of the ‘Land Sand Mining’ land we could grow Açaí Palms and Camu Camu as part of our Food for Life Africa pilot project. 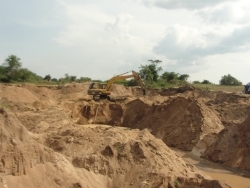 In the large artificial lakes that are created following the land sand mining business Spirulina ponds could be established as part of our Food for Life Africa project. 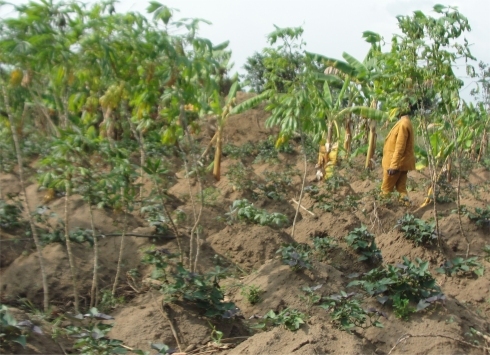 The 16 acres property is already growing some root crops and bananas and ABCD hopes to plant Moringa around the boundary to enlarge our Moringa seed stock to supply the many schools and churches that have started the Africa Moringa Community Project that the UCT team introduced on their last visit to Africa. 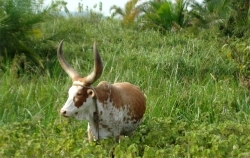 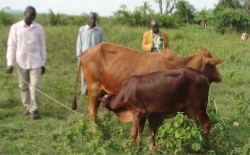 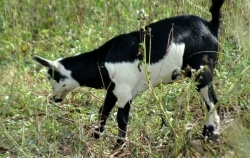 Cows and goats have been introduced onto the land and will assist with milk for the Hope Child Care Centre. 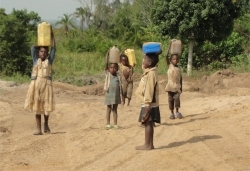 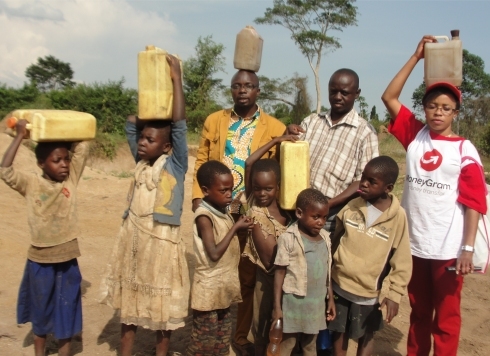 Children from the village walk for miles to collect water on the Land Sand Mining bore hole. 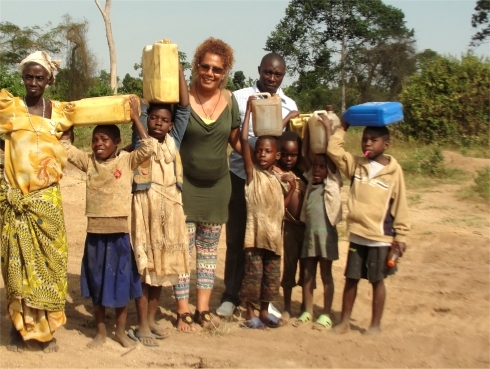 An appeal was made to repair this borehole and fence in the surrounding gullies so that the children will be in no danger as they fetch water. 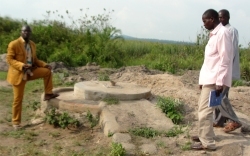 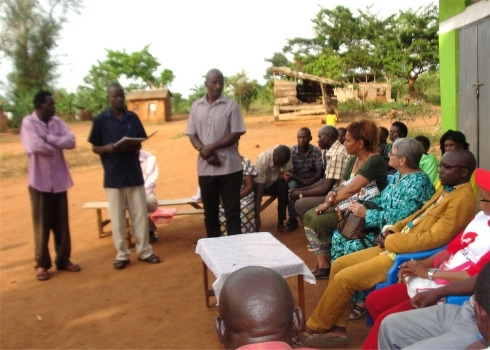 A village committee meeting was held to discuss this possibility and to look at digging a new borehole in the village so the children would not have to walk such long distances to draw water. 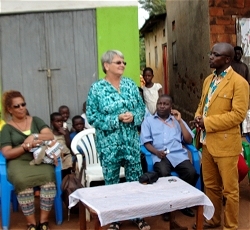 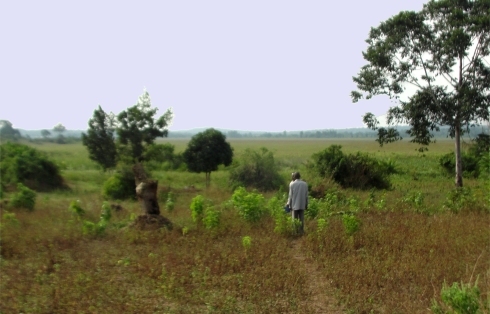 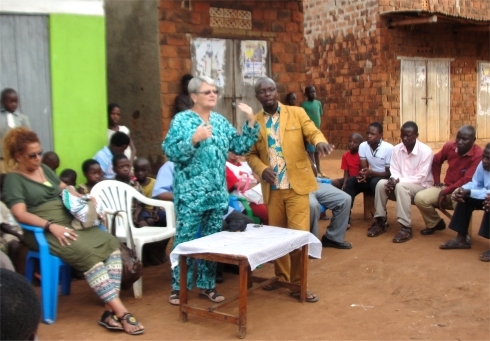 Evangelist Jenny and Rev Abraham addressing the village chief in 2015. 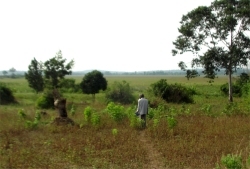 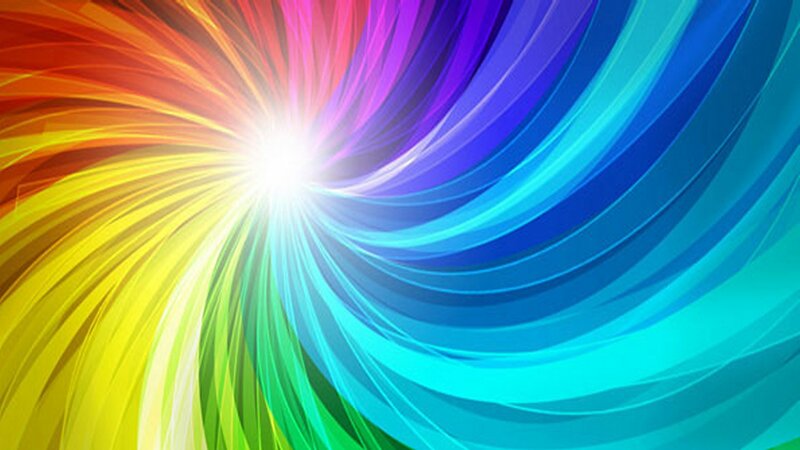 Work was completed in 2016 to God be the glory.